Redefining Cancer To Reduce Unnecessary Treatment : Shots - Health News Sometimes the condition a doctor labels as cancer isn't much of a health threat. Some cancer specialists are now looking at whether it's time to rethink what gets called cancer to lower anxiety and cut waste. A cancer diagnosis can be downright frightening. And after the initial shock, there can be gruelling rounds of treatment. But sometimes treatment can be a waste, because the condition a doctor labels as cancer isn't really much of a health threat. The National Cancer Institute convened a group of specialists last year to look at the problem of overdiagnosis and overtreatment of cancer. One idea: redefine what gets called cancer. A new definition would be much narrower. The institute hopes to keep the word "cancer" out of some diagnoses to help calm patients' fears and minimize unnecessary treatments. Three doctors who headed the group recently published a roundup of the group's ideas in JAMA, a journal of the American Medical Association. "Use of the term 'cancer' should be reserved for describing lesions with a reasonable likelihood of lethal progression if left untreated," they wrote. 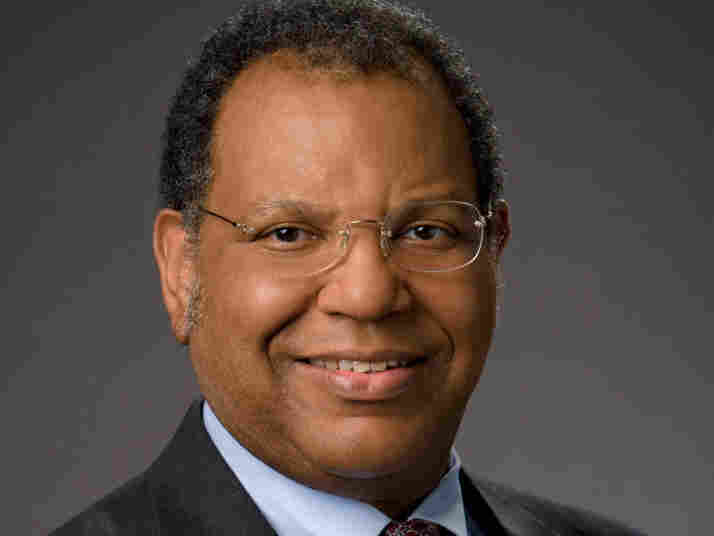 Dr. Otis Brawley, chief medical officer of the American Cancer Society, talked with Tell Me More host Michel Martin about the problems and the possible solutions. "Essentially what has happened is our technologies have gotten so good that we can find some early cancers or things that look like cancer that we now know, if left alone, would never grow, spread, and harm the patient. So we're actually treating some lesions that look like cancer unnecessarily"
"I personally in my own practice have had a gentlemen who had a ... a low-grade prostate cancer with very low volume. And given his age, which was in his 70s, it's something that almost all doctors agree should be watched as opposed to treated. This gentleman had tremendous difficulty with the fact that he has cancer and we're going to watch it as opposed to cut it out... Perhaps we shouldn't be calling it prostate cancer, we should call it something else. Because it actually rarely causes any harm." "What we're trying to do is spare some people the harms associated with unnecessary treatment. And there's a lot of people who are demanding unnecessary treatment. There's a lot of doctors who don't understand that every cancer is not highly aggressive and there's a wide spectrum of cancers. Helping those doctors understand, helping the patients understand."